Morbid Anatomy presents at Observatory next Tuesday, July 20th. Hope to see you there! In 1891, Samuel F. O’Reilly of New York, NY patented the first “…electromotor tattooing-machine,” a modern and innovative device that permanently inserted ink into the human skin. O’Reilly’s invention revolutionized tattooing and forever altered the underlying concept behind a human tattoo, i.e., the writing of history on the body. Tattooing of the body most certainly predates the O’Reilly machine (by several centuries) but one kind of human experience remains constant in this history: the memorial tattoo. Memorial tattooing is, as Marita Sturken discusses the memorialization of the dead, a technology of memory. Yet the tattoo is more than just a representation of the dead. It is a historiographical practice in which the living person seeks to make death intelligible by permanently altering his or her own body. In this way, memorial tattooing not only establishes a new language of intelligibility between the living and the dead, it produces a historical text carried on the historian’s body. A memorial tattoo is an image but it is also (and most importantly) a narrative. 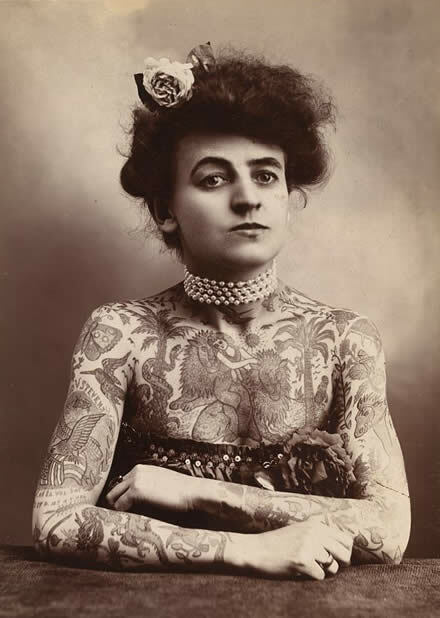 Human tattoos have been described over the centuries as speaking scars and/or the true writing of savages; cut from the body and then collected by Victorian era gentlemen. These intricately inked pieces of skin have been pressed between glass and then hidden away in museum collections, waiting to be re-discovered by the morbidly curious. The history of tattooing is the story of Homo sapiens’ self-invention and unavoidable ends. Tattoo artists have a popular saying within their profession: Love lasts forever but a tattoo lasts six months longer. Dr. John Troyer is the Death and Dying Practices Associate and RCUK Fellow at the Centre for Death and Society at the University of Bath. He received his doctorate from the University of Minnesota in Comparative Studies in Discourse and Society in May 2006. From 2007-2008 he was a Visiting Assistant Professor in the Department of Comparative Studies at The Ohio State University teaching the cultural studies of science and technology. Within the field of Death Studies, he analyzes the global history of science and technology and its effects on the dead body. He is a co-founder of the Death Reference Desk website and his first book, Technologies of the Human Corpse, will appear in spring 2011.